Lenovo Phab 2 Pro Smartphone sports a 6.4 inches QHD IPS display. It is loaded with the Android Marshmallow OS. It is powered by the 1.8GHz octa-core processor. It comes with 4GB RAM and 64GB internal memory storage and a microSD slot for memory storage expansion. It has a 16MP rear camera with Auto focus and LED flash and a 8MP front selfie camera. It comes with a 4050mAh high battery capacity. 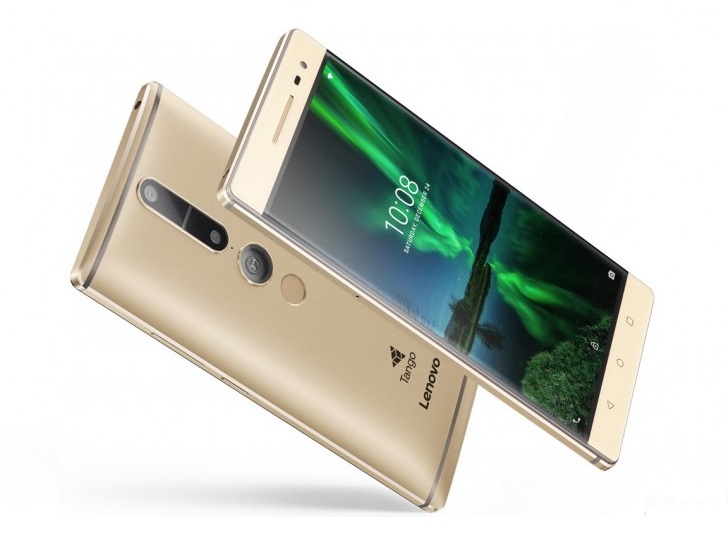 Lenovo Phab 2 Pro is the first Tango smartphone. It features 4 cameras for a seamless AR experience. It bears a 8-megapixel front camera, a 16-megapixel rear RGB camera, a depth-sensing infrared camera with an imager and an emitter, as well as a motion tracking camera.